…from The Cookie Jar bakery via Hannah via Joanne Fluke’s murder mystery. 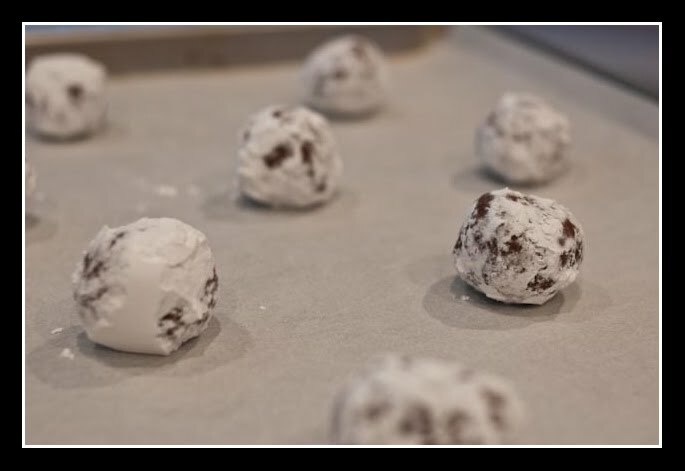 These cookies are brownie-like in the center and dotted with powdered sugar on the outside. In the book, these cookies were baked to honor the local sheriff’s department ‘black and white’ cruisers. In a taste test, these won two thumbs up from Niece A (and me too!). 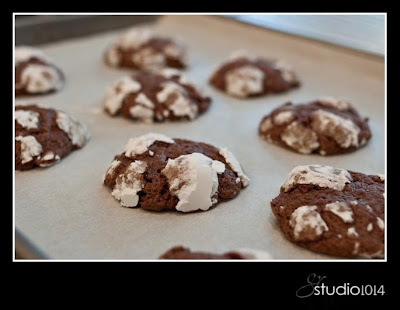 This entry was posted in Black and White cookies, Chocolate Chip Cookie Murder, Hannah Swensen, Joanne Fluke by galereeves. Bookmark the permalink.